These were the new items uploaded to the Australian website earlier today: New All Sport bras in Dream Rose Stripe and Unbreakable prints. New Energy Bras in Black/Dottie Dream Rose and Flash Light. 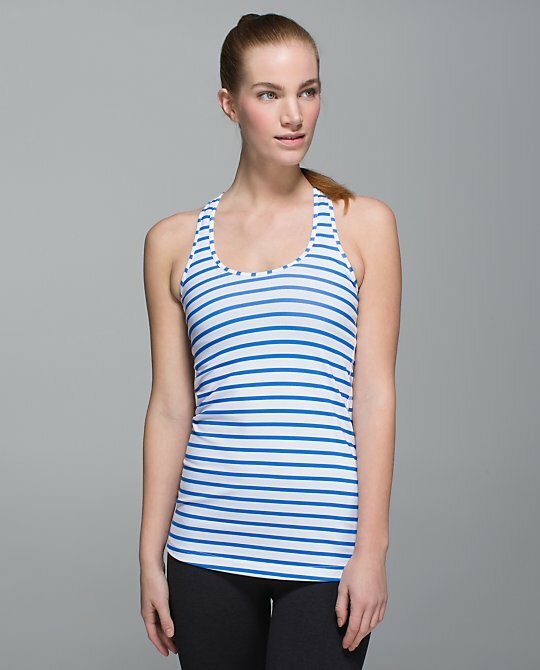 New Cool Racerbacks in Neutral Blush and Pipe Dream Blue Yachtie Stripe. New Modern Racerback in Micro Stripe. I like this one a lot. New Gusto Blue Pace Setter skirt. Wow! That's not exciting at all! I think LLL missed the boat this Holiday season. No special edition items, changing days of product drops and the biggest mistake no upload in time for last minute shopping. I think LLL should of had product drop Sunday night December 21st, or even Monday. If you needed a last minute gift you could of ordered merchandise for delivery intime for Christmas. I think LLL missed it big time this year for a successful and profitable 4th Quarter. I like the bright colors. Thanks, Cristina. the all sport bra is my new favorite. I like it better than the energy at the moment. The patterns above are a bit dull in my opinion. I like the color of the pace setter though. 5:03 you are so right. I guess they still feel they are making a profit. last years winter stuff was amazing. I spent a lot of money, not so much this year. The blue camo define that was uploaded to the Australian site last week looks intriguing. Does anyone know if the fabric is denim or polyester? They really phoned it in this year. Works for me because I can take my money elsewhere - their loss! @ 5:03 AM, tone it down with the melodrama. LLL surely has had a profitable 4th quarter. I think there was definitely misses this year (too much herringbone/pique based on last years popularity, lack of colors, special edition items), but I think they overall delivered well. Lots of vinyasa scarves, herrinbone WUPs, lots of accessory items throughout a lot of types of price points for gift shopping, etc. I think relative to the last couple years (Beaming Blue? Clarity Yellow? Seriously, lets take off our rose colored glasses) it's been a solid season, IMO. That beaming blue season was the worst. I was an educator that season and it seemed like I was the only one who didn't *LOVE! * the color. Upload is up. US got bupkis! Probably because we've been whining so much as a country. I'm with @5:03 AM. I haven't bought anything in ages. I agree. I've spent more at lulu this 3rd and 4th quarter than LY. I can see the strategic shift which I believe will pay off for them. I see LLL as the leaders in this new shift in how people dress - comfortable, flattering, unstructured apparel for women with an active lifestyle that can be worn for multiple wearing occasions. I think they over did the street wear a bit and will likely take a blood bath, but no one can be spot on every season. I commend LLL for trying new and different things, for it's innovation and increased levels of inventory. How many black pants does one need? When I look in my armoir I can't believe how many WUP pants I have purchased the past 6 months...almost none brightly colored anymore, so much more versatile for different wearing occasions. They have figured out a way to sell lots of bottoms. Every time I think "they can't come out with anything else I "need", they do. Just my two cents. I realize it does not work for everyone. Lulu would have been far more profitable had there not been port issues in LA. Over 1 million pieces have been delayed which is likely why the uploads have been all over the place. They upload whatever inventory they manage to get. Personally I think they've done well since the Christine Day era and I think things will pick up in the coming year. @ anon 2:45 pm - totally agree. Though, I've bought enough my bank account can use a cooling off period to replenish. I know I want a Race With Grace pullover, provided it comes in a pretty color and now I added a parallel stripe CRB to my want list. 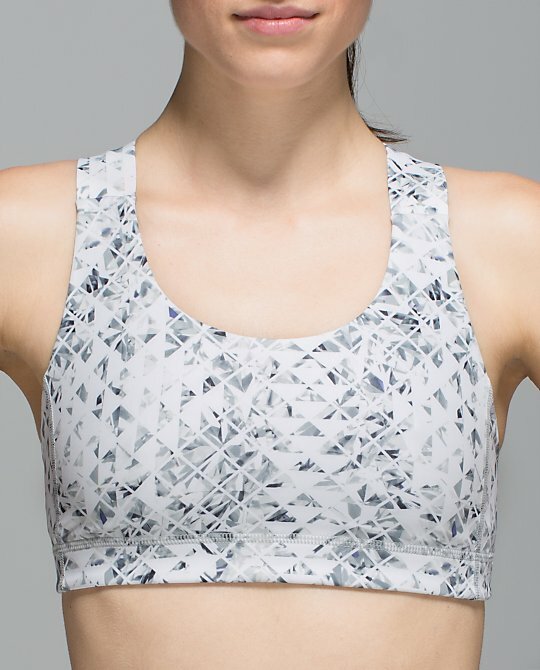 I am looking for cheap All Sport bras (kinda swinging back to them lately) and more First Base tanks if they hit MD, too.